More than 75% of people who participate in weight-loss programs regain the weight within 5 years, and up to two-thirds gain more back than they lost in the first place. In fact, the research consistently reports that dieting is a stronger predictor of weight gain than it is weight loss. This suggests that diets not only fail but may have the opposite effect to what was intended. At Centre for Integrative Health, we understand that the traditional approaches to weight concerns have a poor success rate and do more harm than good to individuals’ physical and emotional health. Our clinic is a weight-neutral space in which weight-loss dieting is not encouraged and in which all bodies are treated with equal care and respect. Our experienced clinicians deliver evidence-based, individualised approaches within the Health at Every Sizeâ paradigm to improve health and quality of life for all people, in all bodies. This involves developing a healthy relationship with food; compassionate self-care; critical awareness; emotional resilience; enjoyable and sustainable exercise habits; and improved body image and self-esteem. Unlike typical approaches, CFIH’s Health Transformation program aims to transform clients’ relationships with food, exercise, and their bodies. Our multi-disciplinary team of Psychologists, Dietitians and Exercise Physiologists use the latest, evidence-based approaches in order to produce long-term, sustainable improvements in physical and mental-health. More than 75% of people who lose weight as a result of lifestyle interventions (such as dieting) will regain the weight within 5 years. Disappointed with this result, it is common for people to make many weight-loss attempts in search of something that finally ‘works’. This revolving door of loss and re-gain is referred to as weight-cycling, which is not only emotionally exhausting, but also damaging to cardiometabolic health. At CFIH, we are passionate about helping people get off the dieting merry-go-round by facilitating the development of healthier relationships with food, exercise and their bodies (or better yet, getting on with the more important things in life!). Our clinicians are frequently involved in new research, delivering training and advocacy in the area, in the hope of dispelling the dieting myth and helping more people take steps to find the happiness, confidence and wellbeing they desire. If you’re sick and tired of yo-yo dieting, our experts are here and ready to support you on your journey to developing a healthier relationship with your body, mind and food. Developed by Drs Stan Steindl and Kiera Buchanan (in collaboration with Dietitian, Kate Pollard), ‘Radiance’ is a group program aimed at providing an alternative to harmful, self-loathing cycle of chronic dieting; self compassion. 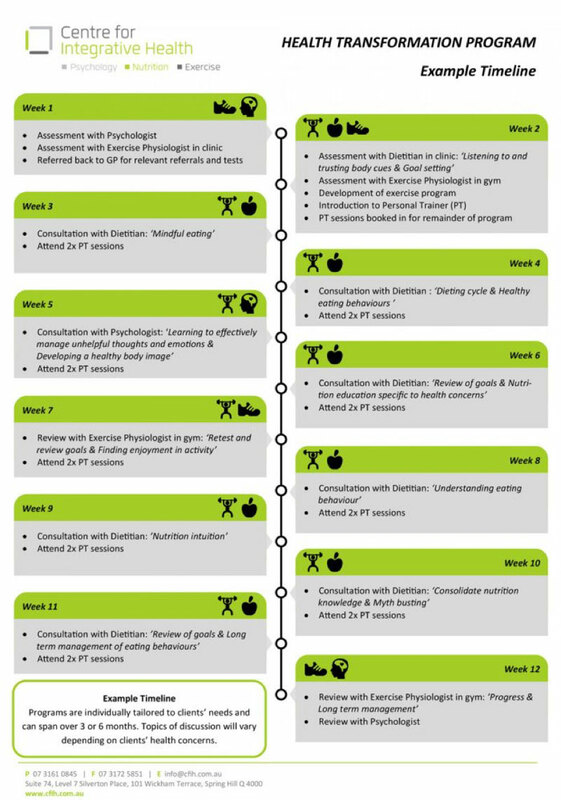 Through incorporating Compassion Focused Therapy strategies with CBT-E, individuals with a history of yoyo dieting are assisted to develop healthier relationships with food, their bodies, and themselves. Founded and facilitated by Exercise Physiologist, Alanah Dobinson, 'Movement With A Purpose (MWAP)' was developed specifically for those individuals who disengaged from traditional gyms or boot camp environments as a means of recovering from the toxicity of diet culture and who now found themselves with nowhere safe and no idea of how to engage in physical activity that was health (not harm) inducing. If you're looking for a safe, inclusive, encouraging space to move your body in a way which is appropriate and enjoyable for you... MWAP might be exactly what you're looking for. Book a free 15 minute phone consultation with us.